Back in March, my daughter and I went on a weekend in London. We had an amazing time at a pop up Sunday brunch with The Raw chef at the Tiny Leaf in Notting hill. The Herball were there too giving out their wonderful plant infused drinks of wines, cocktails and teas. As a gift, we were given a choice of seeds and a little pot to plant them in, I chose Korean mint and look what’s happened…. I put the picture up on Instagram and tagged the guys at The Herball and they loved it, apparently I’m the first to send an update on all the seeds that were given out. 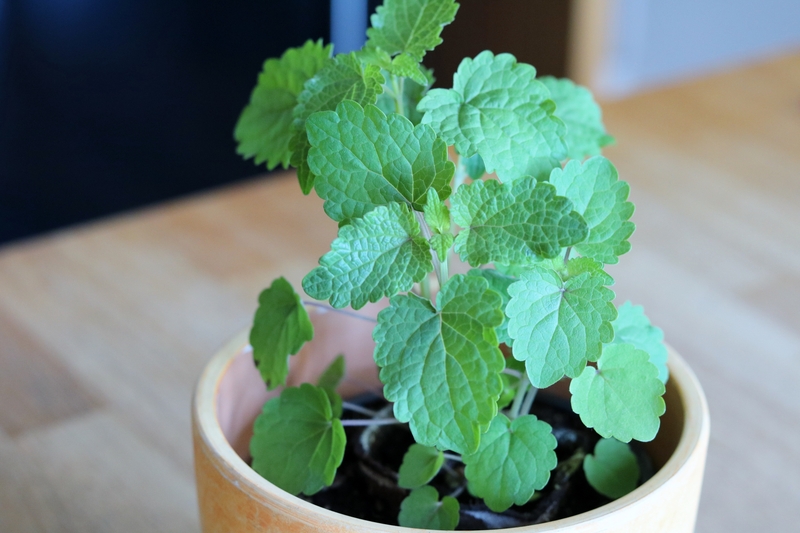 I asked what to do with the herb and they said it can be planted in the garden or a large pot and is great for making herbal tea with or for cooking. Strangely enough, the leaves of the plant don’t smell like the usual mint when you rub them, they have a smell, but I couldn’t place it. Korean mint is commonly used in Chinese herbalism, where it is considered to be one of the 50 fundamental herbs. Considered to be a “warming” herb, it is used in situations where there is “dampness” within the digestive system, resulting in poor digestion and reduced vitality. The leaves and stems are antibacterial, antifungal, aromatic, carminative, diaphoretic, febrifuge and stomachic. They are used internally to improve the appetite and strengthen the digestive system, they relieve symptoms such as abdominal bloating, indigestion, nausea and vomiting. They are also used to treat morning sickness. The leaves are also used in the treatment of chest congestion, diarrhoea and headaches. An infusion of the leaves is used in the treatment of angina pains. The plant is used as a folk remedy for cancer, extracts of the plant have shown anticancer activity. Young leaves – raw or cooked. A strong anise-like fragrance, they are normally used as a flavouring or as an addition to the salad bowl. We find them a bit coarse and too strong for use as a salad. The leaves can be used as a tea substitute. A pleasant flavour. The seed is possibly edible. No further details. The seed certainly should not be poisonous, but it is very small and its use would be very fiddly.